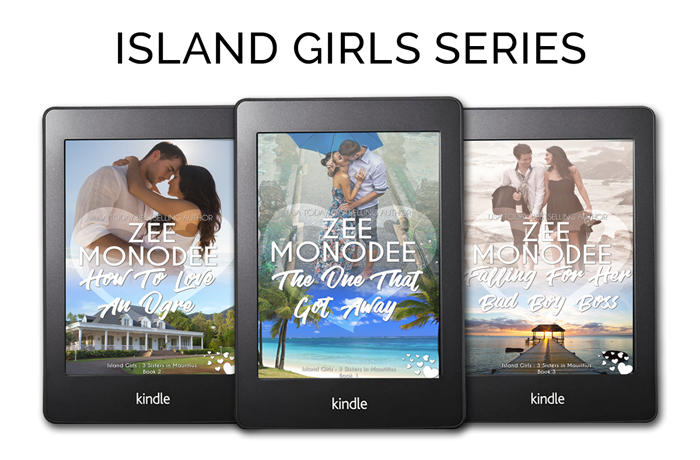 Bollywood meets island life meets the worldwide concerns of love and finding ‘The One’ in this trilogy that follows the trials, tribulations, mishaps, and journey to Happily-Ever-After of the 3 Hemant sisters on the tropical island of Mauritius in the Indian Ocean. Each book can be read as a stand-alone. Another chance at love is all they need … if the past doesn’t come back to haunt them. With her decade-long marriage in shambles, business mastermind Lara Reddy leaves London behind and returns to Mauritius where a prestigious job awaits her. 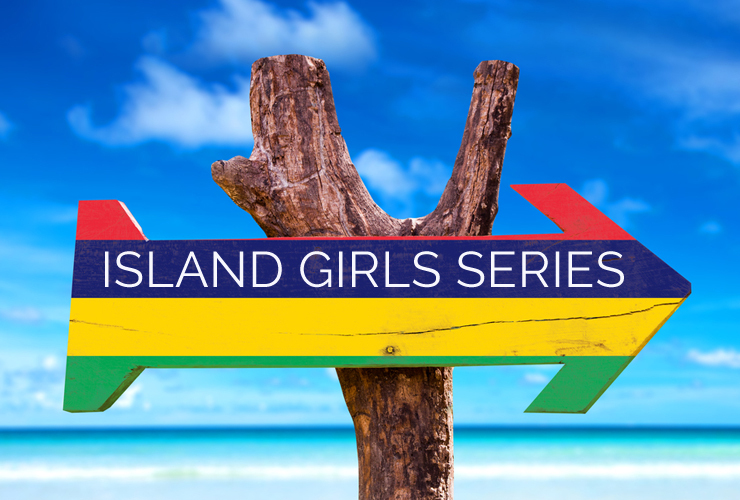 But once on the tiny Indian Ocean island, she finds more than she bargained for, like her insufferable mother, meddling aunties, gossip-mongering backstabbers, and the divorcee tag painted like a scarlet letter on her back. There’s also Eric, the first love she’d once let slip from her fingers. Successful paediatrician Eric Marivaux loved and lost Lara when they were teenagers. 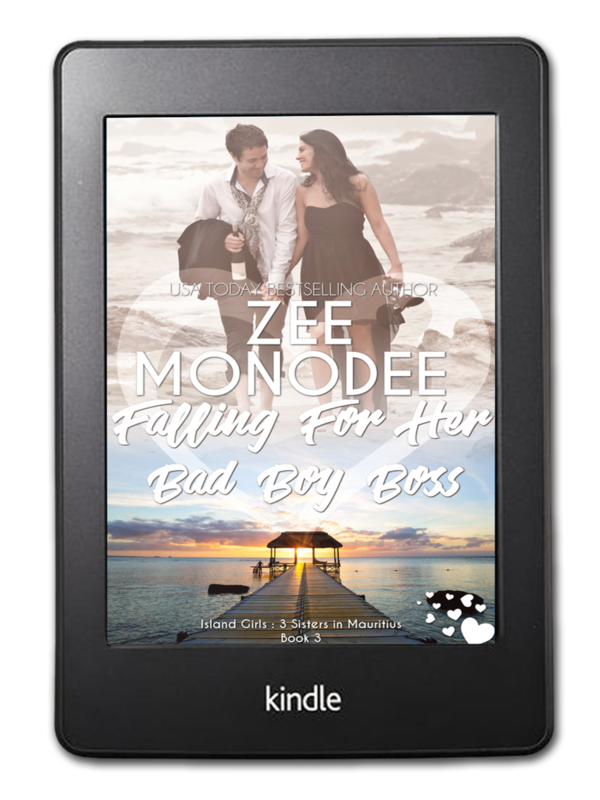 Now in his thirties, he’s worked hard to get over her and live his life … until he comes face to face with a single-again Lara, which sends every resolution he’d had about her onto the wind. She is of Indian origin; he is a French-Mauritian white man. Society deemed their pairing forbidden in the past. But they’re adults now, with a mind of their own & no longer under the thumbs of their formidable families. Will they succeed in surviving the odds this time around? 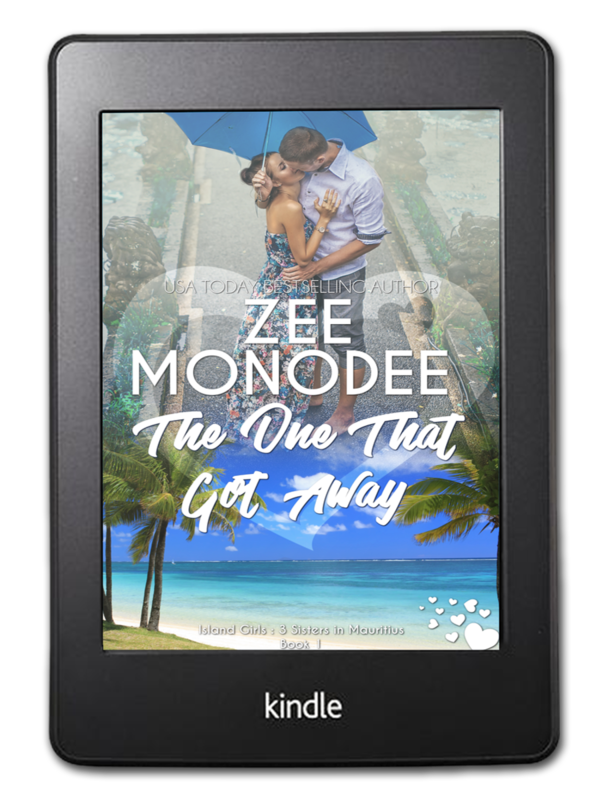 If you love Bollywood shenanigans, over-the-top family drama, & casts of colourful characters, then you will enjoy this story of second chances that follows the trials & tribulations of the eldest of the three Hemant sisters in the exotic location of Mauritius. Tired of her mother’s relentless matchmaking, young & successful interior designer Diya Hemant is determined to find her Prince Charming on her terms. Armed with a definitive list of requirements, she is sure she’ll know Mr. Right when she meets him. If only Fate would stop throwing frogs along her path. British widower & single father Trent Garrison thought coming to live in sunny Mauritius would be a new beginning for him and his two young sons. 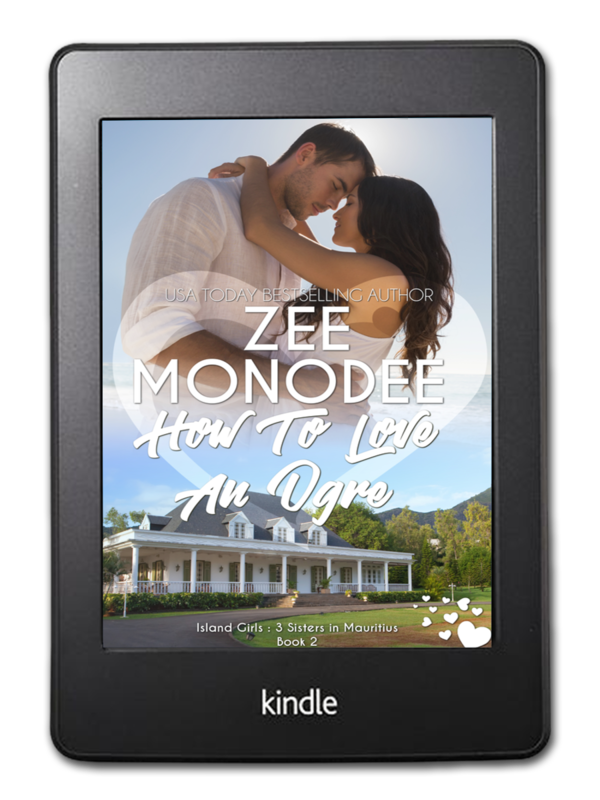 He craves peace & quiet, and finding love is not on his radar. If only Fate would stop throwing airhead princess-types along his route. When Diya meets Trent, it is hate at first sight. Then, she meets Gareth, who embodies every quality she has on her list. But the one she’s finding at every corner is Trent! Though not averse to kissing a frog in the hope that it might reveal a prince, she draws the line before this surly man, who brings to mind an ogre of the worst kind. But is Trent really all wrong for her? Can this modern-day princess overcome her own expectations and see beyond the ogre to the man beneath? If you love Pride and Prejudice retellings, enemies to lovers tales, witty banter, & overbearing families, then you will enjoy this coming-of-age story where the youngest of the Hemant sisters finds that, sometimes, love might be hiding right under your nose on the sultry west coast of Mauritius. When ties that held you back become unbound, do you dare take another chance at love? The perfect daughter, wife, mother, homemaker—the path every Indo-Mauritian woman is expected to take. Neha Kiran has followed the rules all her life, but now in her late thirties, she finally acknowledges something doesn’t feel right. Then, one day, her husband dies … and she is free. Success, fame, alcoholism—former New Zealand boxing champion Logan Warrington has known such highs and lows and managed to put them all behind him. Between past and future, the present exists only to be survived. Coming to work as the co-owner of an Internet TV station in Mauritius shouldn’t have changed a thing … until he meets Neha. Still, can a few moments of stolen magic lead to a commitment that will last a lifetime? 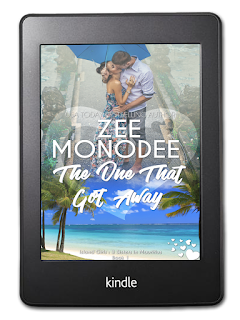 If you enjoy stories of redemption and second chances with grown up characters, Bollywood drama, and an endearing and big and boisterous family, then you will love this tale where the middle sister in the Hemant household finds out that it is okay to finally give in to her heart one cold winter on the tropical island of Mauritius.